Denny Jump (Bellevue, WA, United States) on 13 August 2018 in Plant & Nature. 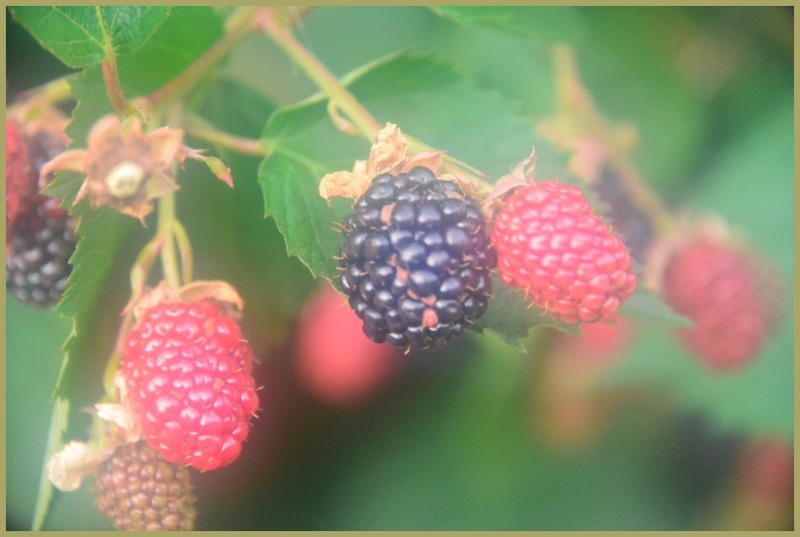 It's Blackberry season again in the Pacific Northwest...and they are delicious once they lose their red color and stay black for 3-4 days...yumm! (I shot this using my Singh Ray -Tony Sweet Pro-Mist Filter. Looks like it will be a bountiful season! Great colors! That mist filter really works. Nice colors. A beautiful image. They look so juicy and delicious. I have a picture to send to you Denny. Love the misty effect and they look beautifully ripe and juicy. When I lived in Europe many a year ago, it was always a sign during my mountain excursions with my parents that summer school holidays were inevitably coming to an end. School always started on the first day of September. Yes, this reminds me of how good they are when they are ripe. Excellent.